Learning how to roast isn’t necessarily something people go to school for like you would to become a chef or a viticulturist. It seems to be something people pick up from each other and learn through trial and error on their own. There is a coffee school in Portland, OR where you can go for roasting classes which I may check out next time I’m there. In exploring what’s available locally in Boulder, Ozo coffee has a roasting lab that is open to the public every friday at 2pm. The thing I like about Ozo is that they not only care about roasting but about how you’re preparing the coffee as well. 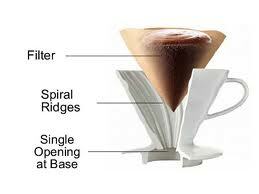 When I visited their roasting lab on Friday they were testing out the single serving pour over brewing method. Nolan Dutton is the master roaster and he is more than happy to answer any questions you have about roasting. As is typical in coffee culture, there were other tasters there that also liked to share their own home roasting tips. It’s a fun way to spend a lunch break and definitely a great way to learn some of the tricks of the trade. Ozo is opening a new location next week on Pearl St. by the Kitchen where they will be focusing on single service pour over coffee. Today I roasted Papua New Guinea AA Sigri Plantation beans. Wow, so far these are my favorite. They have such depth and flavor to them. I roasted them on the light-medium side and they were delicious. I am getting a hint of tennis elbow from all the cranking this week, but it’s been worth it. You are currently reading learning from a master at 52 To Do.